By placing deposit you are agreeing to the terms as conditions as linked at the bottom of this page. By paying the final payment, you are agreeing to the terms as conditions as linked at the bottom of this page. The deadline to pay deposit is Friday, January 25th. I understand that the program fee for the Clark University Global Business Seminar: London (MGMT 5783) is estimated at around $2000 (the final amount depends on the final number of participants) and that it does not include other expenses (airfare, etc., as indicated by the class instructor). I understand that a deposit of $500 is required to secure a place in the program. The deposit is fully refundable until December 31, 2018. On January 1, 2019, the $500 deposit is non-refundable. I understand that the remainder of the program fee is due by January 25, 2019. On January 26, the total program fee is nonrefundable. 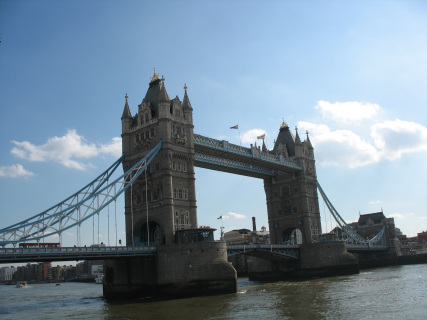 I understand that the program fee covers the following activities; 6 nights of hotel accommodation in London (double occupancy), subway pass in London (Zones 1-3), local guide for all group activities, all breakfasts, welcome dinner, farewell meal, and three group lunches. The program fee also includes visits to 8 companies/organizations and entry fees to Tower of London, Thames River Shuttle, Westminster Abbey, tickets to the theatre performance, and tickets on a Big Bus Hop-On Hop-Off Tour. Pricing for the seminar is developed based on two people staying in a double room (each person has own bed). Participants may specify roommate, if known. If participant is not able to specify a roommate, a roommate of the same gender will be determined. I understand no partial refunds will be given for unused meals, hotel rooms, airport transfers, excursions, etc. for any reason whatsoever. Tremont Global Education (TGE) reserves the right to make cancellations, changes or substitutions to the agenda and other services, in the case of emergencies or changed conditions as deemed desirable based on the interests of the group and the overall quality of the course. TGE reserves the right to decline, accept, dismiss, or retain any person as a participant in any program at any time before or during the program for any reason whatsoever, without liability for refund of payment except refunds regarding cancellation by TGE of programs will be issued as per the terms within. I certify that I do not have any physical or mental condition which will create a danger or hazard for me, other participants or hosts in the program. I understand that should I have a mobility issue that requires accommodation, I will notify TGE. I understand that I must at all times strictly comply with all applicable laws and regulations of the United Kingdom on this program. Should I fail to comply with the above or commit any illegal act when on the tour or, if in the opinion of Tremont Global Education (acting reasonably), my behavior is causing or is likely to cause danger, distress or material annoyance to others, TGE may terminate my enrollment immediately without any liability on TGE’s part and I will not be entitled to any refund for unused or missed services or costs incurred resulting from the termination of my arrangements, including, without limitation, accommodations, meals, and/or incidentals. I understand I am wholly responsible for my own actions and realize that Tremont Global Education will not provide coverage for any damage I may suffer or cause to others. means of transportation, or for any failure of any transportation mechanism to arrive or depart on time. If due to weather, flight schedules or other uncontrollable factors you are required to spend additional night(s), you will be responsible for your own hotel, transfers and meal costs. Baggage is entirely at owner’s risk. You may see the name TGE affixed to motor vehicles, on signs around the hotel or elsewhere. This use of our name is purely for reasons of identification and does not denote ownership, supervision, or control by TGE in any way. You specifically agree that TGE is not liable for any consequential loss or damage. TGE reserves the right to take photographic or film records of me and any program. I understand that TGE may use such records for promotional and/or commercial purposes without limitation, payment of a fee and without liability.